Grace Church Leith, Edinburgh | Why does Christmas still matter? Why does Christmas still matter? It may seem there’s enough going on at this time of year not to have to ask what Christmas is really about, or why it’s still relevant to us and our world. 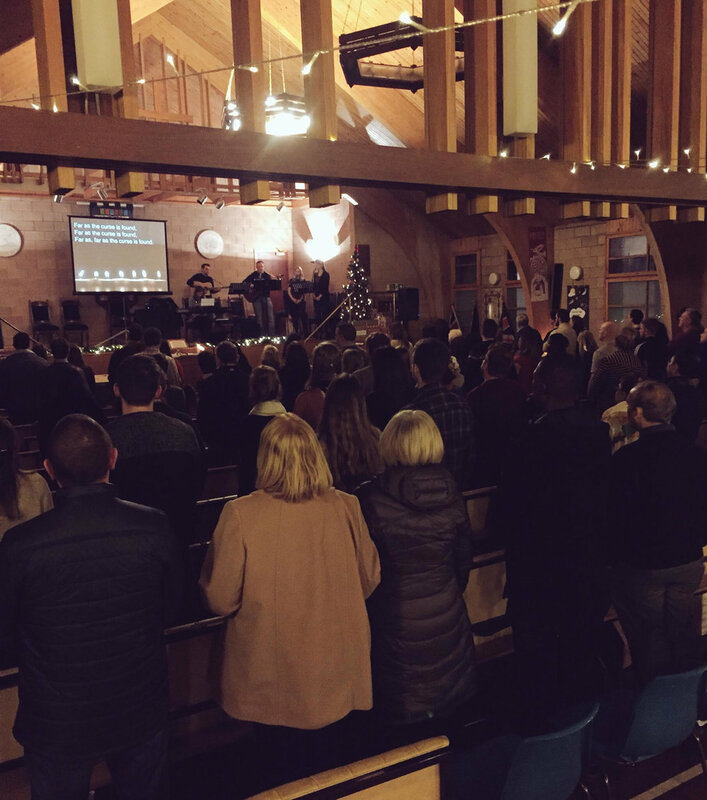 But on Sunday 17th December, Grace Church Leith gathered, with friends, neighbours, colleagues and family, to consider why Christmas still matters at our annual Candlelit Carols service. About 160 people came together to sing carols and hear the story of Jesus’ birth. The children’s nativity was a rare treat, and special effort was made to include any children wanting to be involved on the day. Our minister Athole then gave a talk on the question, ‘why does Christmas still matter?’ looking both at Jesus’ family tree, and an angelic announcement that Mary’s baby would be the promised Immanuel, ‘God with us’, found at the beginning of Matthew’s account of Jesus’ life. Athole first made the point that Jesus’ birth still matters because it really happened: Jesus’ birth, recorded by Matthew, is set in the context of real human history, not myth or fairytale. Secondly Athole considered the claim that Jesus was born to be Immanuel, ‘God with us’: if the Jesus of history is truly God of the universe, then his birth still matters because it tells us that “God was really with us”. Finally Athole pointed out that Jesus’ birth still matters “because we need a Saviour”: Joseph was to name the baby ‘Jesus’, “for he will save his people from their sins” (Matthew 1:21). Mulled apple cider and mince pies were served after the final carol and lots of us stayed to enjoy time together in the warmth of candlelight. We were so glad to welcome our friends, colleagues and neighbours from Leith and beyond who came along. Copies of Tim Keller’s book Making Sense of God (2016) were also available for those interested in understanding how such big claims about God could possibly be believed today, and the offer remains open to explore more what implications Jesus’ birth has for us. Thanks to all who came, and made Candlelit Carols 2017 an evening to remember. Our next service will be our Christmas Eve family service: Sunday 24th December, 4pm at 31 Bangor Road.